The extraordinary qualities of Wrigley’s Hubba Bubba bubble gum are portrayed in a series of photographs released in Australia this month. Hubba Bubba power fills the cheeks of a guy sharing his smoothie with his girl. 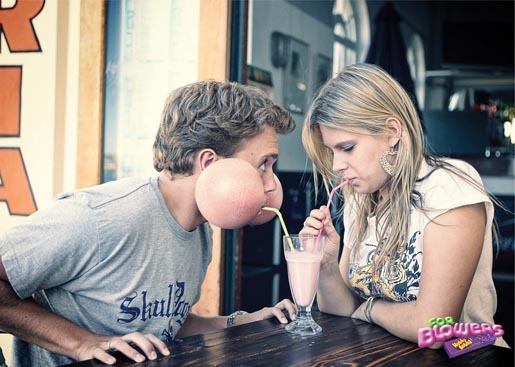 Is he about to blow the drink out of the glass or is her that has already filled his cheeks? 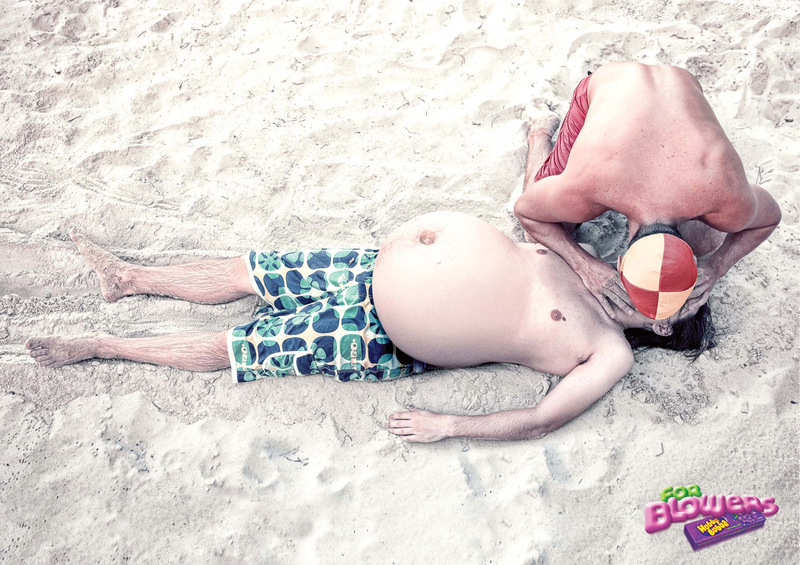 Hubba Bubba powers the lungs of a surf life saver doing CPR on a swimmer. Hubba Bubba powers a kiss – is he the blower or is it her? The Bubble Bodies campaign was developed at DDB, Sydney, Australia by executive creative director Matt Eastwood, creative director/art director Steve Back, copywriter Cameron McDonald, account director Emma Burn, with photography by Mat Baker.